Lloyd and the Bear – Page 8 – Free webcomics, news and more! Okay, so I really should be in bed but I’m still buzzing from an absolutely amazing weekend at MCM London! So many people stopped by our booth – those who have met us before and also those who are new to the adventures of Lloyd and Bear and man, it was ALL good! I know I’ve said this so many times before but I do absolutely mean it – there was so much good chat this weekend and it was SO AWESOME!!!!! So yeah, if you’re new here please check out the site! We’ve tabs to our Facebook and Twitter pages (Instagram on the way once I post more!) plus links to our online comics and then stores for our books and t-shirts! Everything is available to click on by either columns down the side of the page or the tabs at the top! Currently I’m super focused on issue #12 so lacking that many posts on here (sorry!) but please do follow us on Facebook and/or Twitter for more regular posts! Finally, thanks again to not only everyone who stopped by our table this weekend but then came on here to check out what we’re up to! Seriously, you guys are great and I know that may sound a wee bit cheesy but I TOTALLY mean it! 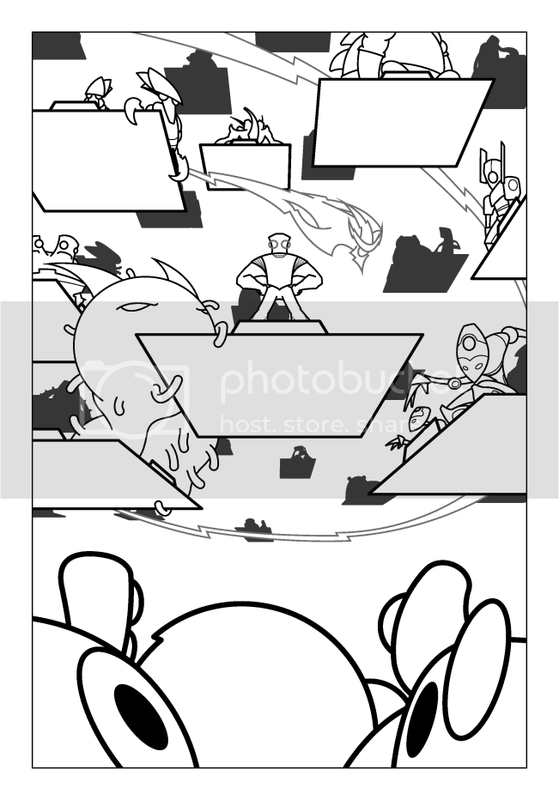 So okay, more soon but apologies already if I don’t post here quick enough – hey, got to get issue #12 done! Eeeeee! Blimey! It’s been over two months since my last post on here! But hey! There’s more (okay, this may be more of a personal win but still)! 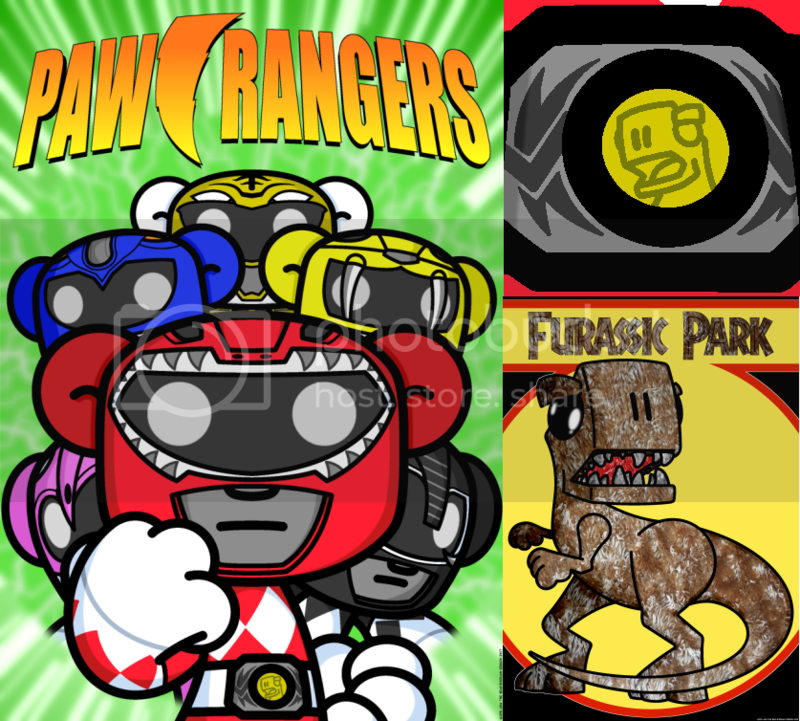 So when it came to working on the Red Rangers belt buckle I was trying to cartoon up the dinosaur but it just wasn’t happening. I then had the brainwave of using the T-Rex from my old Furassic Park print! I really do love grabbing pieces of my old work and being able to use it again! It’s not a lazy thing but more I always feel that every piece I create should have it’s moment in the sun and not to be left in a folder somewhere not seeing the digital light of day. So yeah, Furassic World may be in the past but the T-rex is getting another moment to shine! Yay! I’ll try and pop back more soon with further updates! Okay, so it’s been July for a couple of days now but hey, still worth celebrating! And celebrating we are! 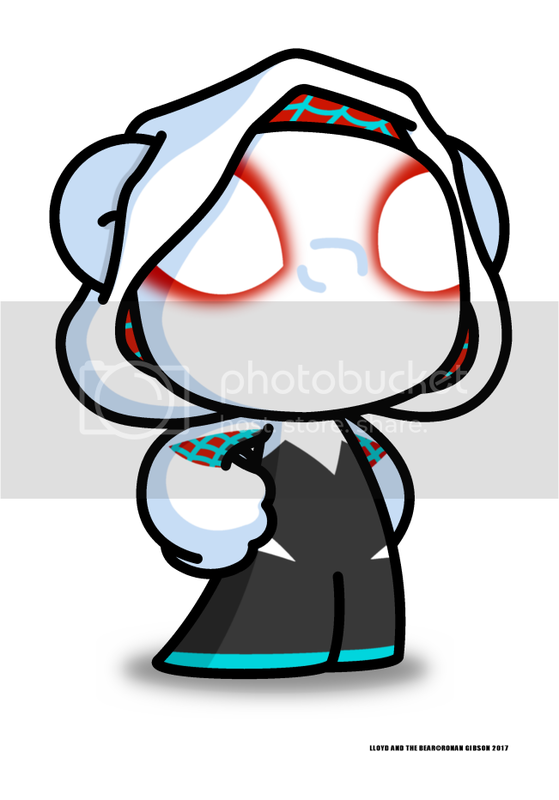 Firstly I’ve finally got my act together and actually advertising that I’m available for doing commissions prior to London Super Comic Con in August! This is something I keep meaning to mention but never get around to doing so a personal win for me right there! 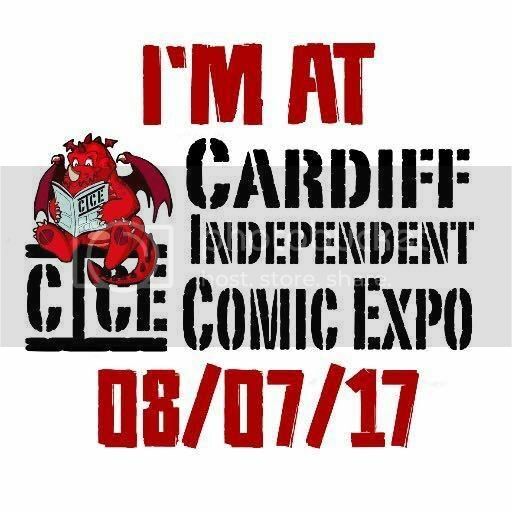 Secondly we’re off to Cardiff this weekend for Cardiff Independent Comic Expo! I’m super excited about this and not only because it’s also Small Press Day 2017! I missed out getting a table last year and was really disappointed but this time table got and the communication and updates with the organisers have been awesome so feeling really good about this one! Plus hey, I’m going to be in Cardiff so that in itself is a win! Lots of wins in this post! So yeah, if you’re in or around Cardiff this Saturday please come and see us!